A Room with a View… Tasting Room that is! 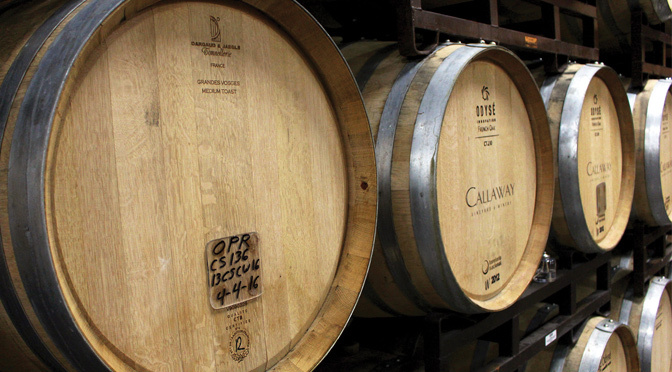 There are many factors that contribute to making a great wine such as terroir, climate, fruit quality and types of barrels used. Even bottle, cork and capsule choice have a hand in how the end result will turn out. 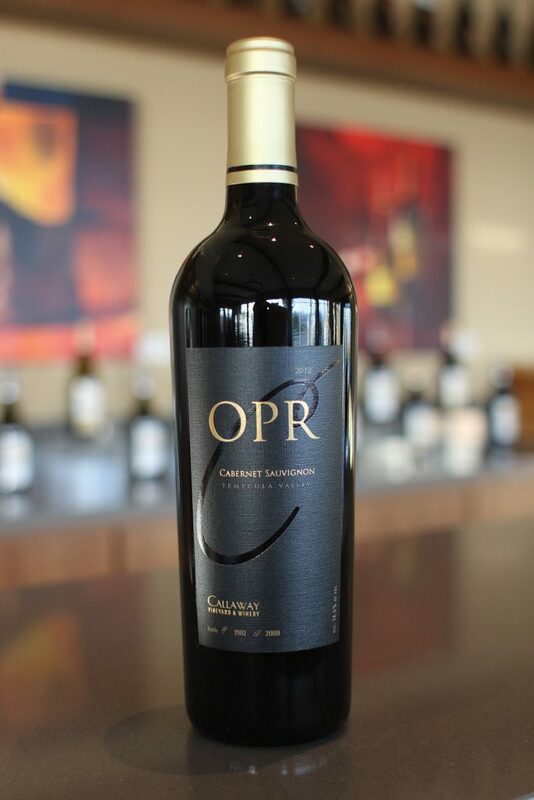 Here at Callaway we have just bottled a wine that in my opinion is our best yet, the 2012 OPR Cabernet Sauvignon. This wine is fruit forward yet a little Old World. It is a tighter wine, very age worthy. I’d open a bottle in a year and try it, but overall I would let it sit for at least two years in the bottle. This OPR is an exceptional vintage. The wine was left in the barrel for three years, then bottled on July 1st with a total of 264 cases. The quality of the fruit was the first thing that stood out to me. It took one year for the fruit to come out, but once it did I knew right away that this was the one. Throughout the winemaking process I do sensory evaluations on each wine which enables me to see the evolution of the wine. 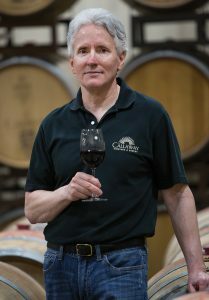 I can tell which wines will last in the bottle longer, which are better quality, what types of fruit characteristics will yield and overall which ones stand out. This OPR really caught my eye, in the nose and on the palate. It was perfect, very strong; subtlety and finesse all in one. This is my goal in making wine, subtlety and finesse. Complexity is one thing but I’m trying to make a wine that when people try it they notice it’s soft but it’s also complex at the same time. One of the key factors, aside from the fruit, used to achieve the final result of this OPR was the selection of barrels used. I tested many barrels and chose to use Dargaud & Jaegle French barrels. 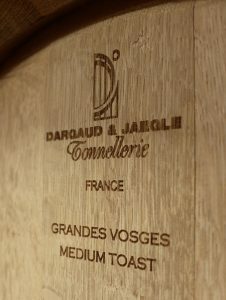 These barrels are medium toasted and created from wood from a forest, Vosges, in France. The reason the wood from this particular forest is important is because it is tight grained. The tighter the grain in the wood the less evaporation occurs in the barrel. Tight grain oak staves are meant for agebility. Another significance of the these barrels are that they are made from water bent staves. The benefit of using water bent staves instead of heat, steam or fire bent, is that water staves create softer tannins in the wine.